In the hospital, there’s many different roles for many different functions. No matter which one’s yours, MEDITECH Expanse will help you perform it with greater efficiency. Expanse accommodates your workflow, not the other way around. Smart tools ensure that the time you spend with patients is meaningful. Driving provider productivity in the ED. 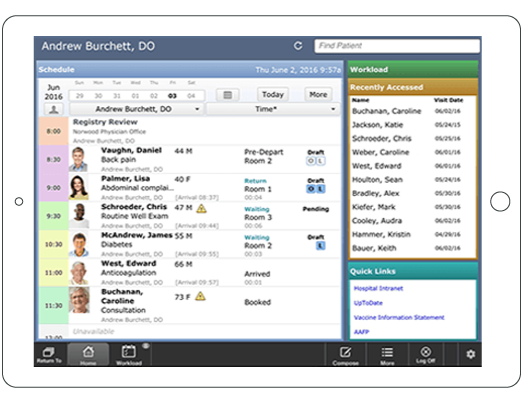 Put your team at ease with an EHR that is secure, scalable, reliable, and easy to maintain. Visualize your data to answer the big questions. Give your behind-the-scenes team everything they need to impact your business. Manage your clinic, your way. Teamwork: it’s the only way to operate.